So I’m starting to revive old projects and finally get them done and uploaded! This project has been my baby for so long that it is time for it to be posted for everyone to see. I cast episode per episode so i don’t have a bunch of people waiting for better things to do, so expect to see this audition thread to pop up every now and then. Not all the main roles have been cast and some of the famous roles are still coming in later episodes so keep and eye on this project if you’re a fan of the series! 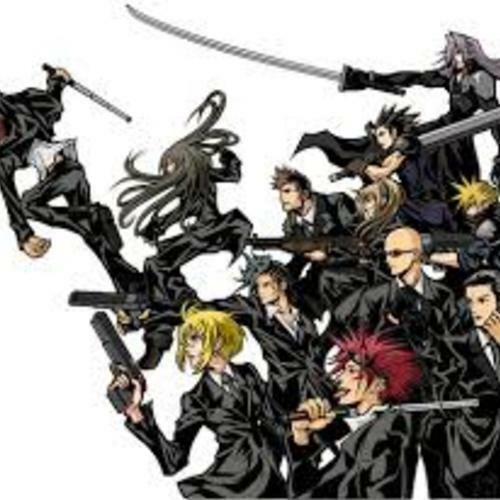 This project is Final Fantasy VII Before Crisis, which for those of you who are fans of the series like i am know this is what comes before and during The Last Order and Crisis Core, “A story of the six years leading up to FINAL FANTASY VII”. The story comes from the point of view of the Turks of the story, which are basically assassins and information collectors in comparison to the SOLDIERS we are used to seeing in this series. There is a squad of Turks that never get a bigger part in the actual story, the most known Turks are, Reno, Rude, Tsing and Cissnei (there is a 4th but it’s a spoiler that I’m not sure many know about. The Turks are seen as the bad guys in this story but with Before Crisis and Crisis Core we see that some of them are actually really kind and care about others. Their job is to protect, not destroy. So this is the start to it all and where we see everything start to go wrong. Before Crisis is basically Last Order and Crisis Core happening at the same time, just from another point of view, for CC it was Zack, this time it’s a Turk names Samantha, who is very kindhearted compared to the murderers they are made to seem like. There are many characters that have no official voice actor so i am looking for good acting and creativity for those characters. I would prefer good mic quality since i would like to produce a high quality dub, but i may be lenient on this matter if the acting is of high quality. I am very pro multicasting since it’s easier to work with a smaller cast than a larger one, so feel free to try for as many characters as you like, you just have to state if you are willing to be multicast (I realize a lot of people don’t have the time to do more than one character, and ‘mainer’ characters will have a large amount of lines as it is, so if you do not tell me you want to be multicast you will only be cast once) also, please tell me if you’re willing to be an extra! I put auditions up early in the server so even as an extra you’ll be considered first for the next episodes characters. For extras my only requirement is a decent mic since a role as an extra is great practice if you’re knew to all this! Voice: Original Voice. I do what the character to sound old, so something low with maybe a husky or gravelly tone to it! He is always barking orders so there needs to be a sense of authority. Try make him sound more concerned than angry though since I don’t want him to come across as this angry man. The overall leader of the Turks. Veld gets his orders directly from President Shinra and passes them on to Tseng, who then delegates orders to the subordinate Turks. It was Veld who made the Turks into the professional, elite group they are today. He can come off as intimidating, and even cold – his standard of what constitutes a well-executed mission is markedly more stringent than the evaluation criteria Tseng uses, and he will not hesitate to deal out appropriate consequences when the occasion calls for it. It was he that instituted the mission evaluation system – all Turks are evaluated based on every mission they undertake, with consequences for Turks that don't get their act together. Veld's devotion to his Turks is absolute. In Episode 9, when the Turks are placed under the leadership of Heidegger, Veld makes a deal with President Shinra in order to save them from annihilation at the hands of AVALANCHE. 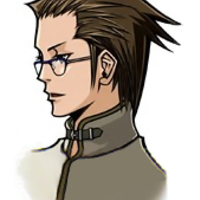 A large condition of this deal stipulates that if Veld displeases President Shinra again, his life is forfeit. When the Turks are ordered to carry the victims of the Nibelheim accident to the Shin-Ra mansion so Hojo can perform experiments on them, he takes the entire duty upon himself, so that his subordinates needn't get tangled up in such a dirty operation. The reason for Veld's protective attitude toward the Turks is revealed in Episode 13. He was indirectly responsible for his family's death in Kalm. After the loss of his wife and daughter, he buried himself in his work and fell back on the Turks, who became the family he no longer had. Veld goes missing for a while after the final battle with Zirconiaide. Officially he is presumed dead – assassinated - although it is later discovered that he is alive and continuing his work with the Turks. (Concerned for the well-being of Samantha, since she is a new Turk) I don’t feel comfortable letting a rookie handle it. (Trying to come up with a better solution, an order to subordinate) Keep me apprised of the situation and see if you can get someone in there to act as support. (In a ‘you’ve got to be kiding’ type voice) Junon?! (Concern, realization) That’s not good. The President is there right now. Reno is easy to misunderstand. A good lot of the time, he'll play around and act like he doesn't take anything seriously. Then in the next second he will be 100% serious. Reno is a firm believer in the old "all work and no play" adage, though when the time comes, he will pull through with whatever assignment he's given. Although he'll pull a long face when forced to get back to work, the way he immediately throws himself into his work tells another story. He watches out for his comrades, especially the younger Turks. Although he is technically Rude's partner, the partnership is malleable depending on the mission he's assigned to. Rude is used to Reno's antics and mercurial attitude, and is capable of keeping Reno in line, though it doesn’t always work. In battle he is difficult to keep track of. He has earned a reputation as the fastest of the Turks, and this is a major advantage to him, as he can move before his enemy has had the chance to react. Coupled with his EMR, his attacks are difficult to deflect. St. Andrew learned this the hard way when he tried to steal a motorbike from the Shin-Ra building. (Cocky, but reassuring ) You go on ahead to the reactor. Don’t worry about it. I’ll take care of these guys then catch up with you. (Cocky and slightly condescending to his enemy) Oh, really? We won’t know for sure unless we test that out, will we? (Needing to move out quickly) The President’s? We'll leave right away. Voice: Original Voice. I can imagine maybe a mid ranged voice with a smoothness to it. I also imagine him always talking calmly even when he’s nervous or worried, since he’s supposed to be the intelligence guy. 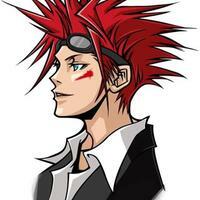 One of the three overall leaders of AVALANCHE, Fuhito is in charge of gathering intelligence for the organization. He is also in charge of research and development for the group. Nothing is known about Fuhito or his motivations. Taking after Hojo in the mad scientist mould, Fuhito is an individual who will use any means to achieve his ends. 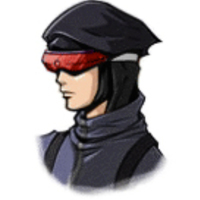 His biggest achievement is the creation of the Ravens, soldiers who have been specially programmed and trained using a blend of his own techniques and Shin-Ra SOLDIER data. Fuhito is presumably the one who found Elfe when she was wandering. Whether he found her knowing about the Materia in her possession or whether he found out about it after they'd picked her up, it becomes clear right from the start that Fuhito's concern for her lies primarily with the potential she carries within her, the Materia is invaluable to his plans in destroying all life on the Planet. Although willing to lie and otherwise betray those around him for his ends, he remains absolutely honest when it comes to his intentions, he truly believes he can save the world by ending it. In terms of appearance and mannerisms, Fuhito is non-descript and unerringly polite. He uses polite language both when speaking to his comrades and with the enemy. This would suggest that he is keeping a distance between himself and those around him, although why he has created and maintains this distance is up for speculation. His weapon is a modified gun which in addition to shooting normal bullets, is also capable of firing a high-powered blast capable of doing grave injury, if not causing immediate death to the person at its business end. (Matter-of-fact) We’ve confirmed that President Shinra is in Junon. He seems to be there doing a military inspection. We’re going to head out immediately and meet up with Shears’ group. Have you found the whereabouts of that man I ordered you to track? (Monotoned even though he is concerned) Please try to establish his whereabouts as soon as possible. If they bring him in, all of our plans will have been for nothing. (Closing his monologue and setting the plan in motion) Now then, everyone. To Junon - let's move out. (Their battle cry, but I don’t want him shouting it) Down with the Shin-Ra! For the narrator, I’m thinking a low male or female voice that is comfortable to listen to. (Battle cry!) DOWN WITH SHIN-RA! (Giving orders to subordinates) All right. We’re splitting into two groups from here. You two stay here and wait until the main body arrive. (Confusion) Shin-Ra soldiers! ? (Determination and confidence) We'll kill anyone that stands in our way. (Ending off a monologue) The long awaited day of shin-ra's downfall is in sight. Don't go messing things up now. (Get used to this battle cry!) Down with the Shin-Ra! (As if telling a story to an audience) This is where the long fight between Shin-Ra and AVALANCHE begins.